DURANT – Nancy Lieberman Charities in partnership with Sport Court has teamed with First United Bank and Dream Team Women’s Networking Group to give Durant a brand new Kids & Cops Dream Court. The new Dream Court will be located at Carl Albert Memorial Park. 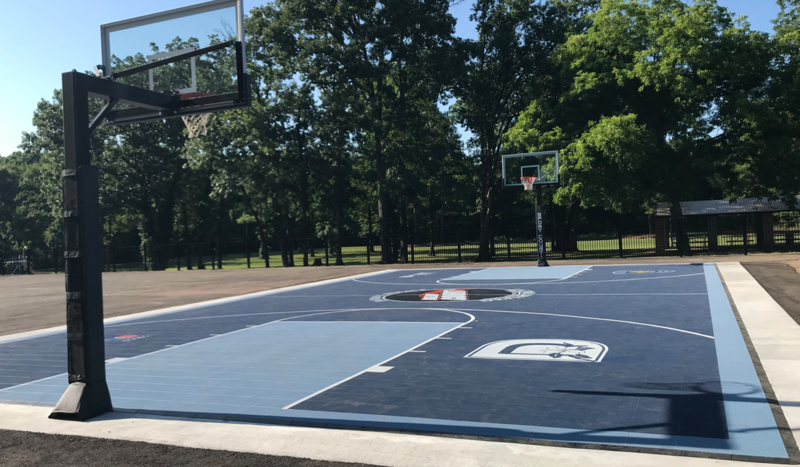 The Dream Court™ is 35-by-65 feet with two brand new basketball goals, and features a high-performance PowerGame™ surface from Sport Court® in signature Kids & Cops dark blue and steel blue colors. Its centerpiece is the Dream Courts logo, flanked by the brands of all four supporting organizations. 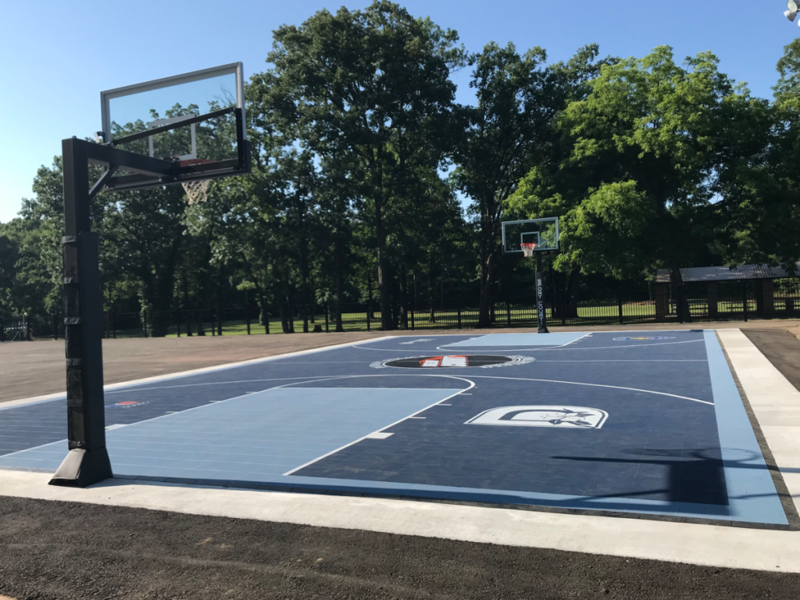 More than two million youth play on Dream Courts in the U.S. and Sport Court has been the partner to Nancy Lieberman Charities since the first court installation in 2010. A total of 58 Dream Courts™ have been built to-date across the nation with each court serving approximately 100 youth per day, helping improve the lives of more than 2.1 million kids a year. A dedication ceremony was held on Wednesday, June 13 at Carl Albert Memorial Park, located at 1301 Gail Farrell Dr. Following the ribbon cutting, children participated in an open-court “shoot around” with Lieberman and members from the Durant Police Department.